Whether you like it or not, Dragon Ball GT happened. The series is notorious in anime circles for its ill reputation, but the anime has gained a hefty following since its initial outing. Still, fans do admit they feel off about the show’s initial comedic style, and Kozo Morishita can sympathize. Thanks to Kazenshuu, fans can read up on an interview that the Dragon Ball GT producer did for an issue of Dragonbook. During his tell-all, Morishita was asked about the show’s shift from being an adventure drama to a battle-focused series. The producer said the change was made as creators and fans grew tired of Goku being MIA. “It was a natural shift rather than a sudden change in course. When Goku’s not the main character, the story gets out of hand, or perhaps I should say it becomes unstable,” Morishita explained. Dragon Ball GT may not have run for very long, but the anime did have its ups and downs with Goku. When the anime began, fans met up with the Saiyan five years after the 28th World Martial Arts Tournament. Goku and Uub had finished their training, but things took a turn when Emperor Pilaf accidentally wished for Goku to become a child again. 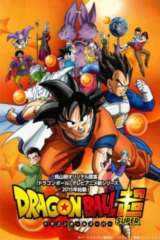 The series then followed Goku and his new gang as they searched for the Black Star Dragon Balls to reverse the wish, but fans cared little for the anime’s ensemble comedy. Fans of Dragon Ball Z had hoped to see an action-packed continuation of the hero they had grown to love, and Dragon Ball GT never got around to offering those fans quite what they wanted.